Greenwood Galaxy has been designed very beautifully and uses a lot of elements of the contemporary interior decor. The hotel is located in the Kalianga Nagar in Bhubaneshwar. 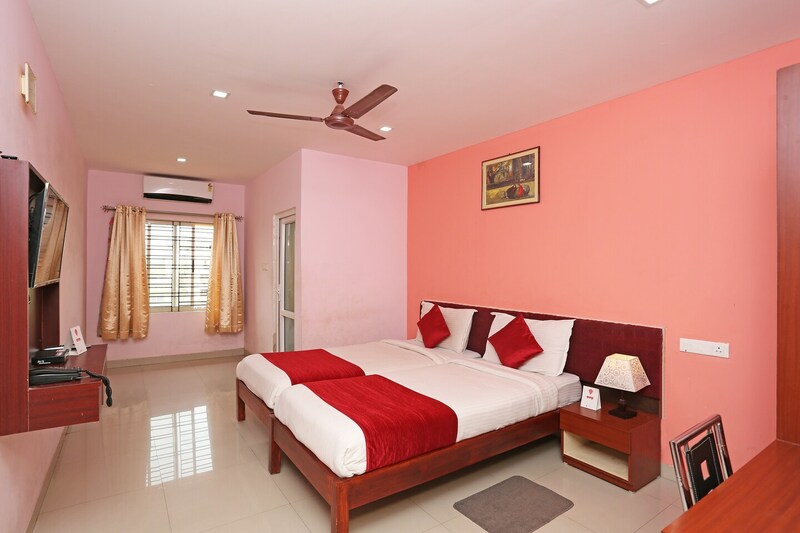 The rooms are painted in very beautiful and vibrant colors such as red and fuchasia pick. The rooms have been provided with a lot of free space for movement. The extra amenities provided by the hotel are a constant power backup source, parking areas, card payment in all forms, an elevator facility, and CCTV cameras, and free Wi-Fi. The in-house facilities include a common seating area and a restaurant. All these facilities enhance the overall stay experience. The front desk service is located close to the entrance and is managed by skilled staff. The hotel is located close to a number of utilities such as Iskcon Temple, Odisha State Museum and Parasuramesvara Temple.